Shuk Han Lui is a multidisciplinary artist who works predominantly in mixed-media paintings and artist’s books. Her studio takes a meditative focus and interprets “art as a way of being” and explores various connections between painting and piano. She is the recipient of several fellowships including the Don Bachardy Fellowship, the Wilson Center Graduate Research Award, the Mary Rosenblatt Graduate Scholarship, and the Looney Foundation Graduate Fellowship. Lui earned her MFA in Drawing and Painting from the Lamar Dodd School of Art at the University of Georgia. She has been awarded residencies at KHN Center for the Arts in Nebraska City and Royal Drawing School in London, UK. 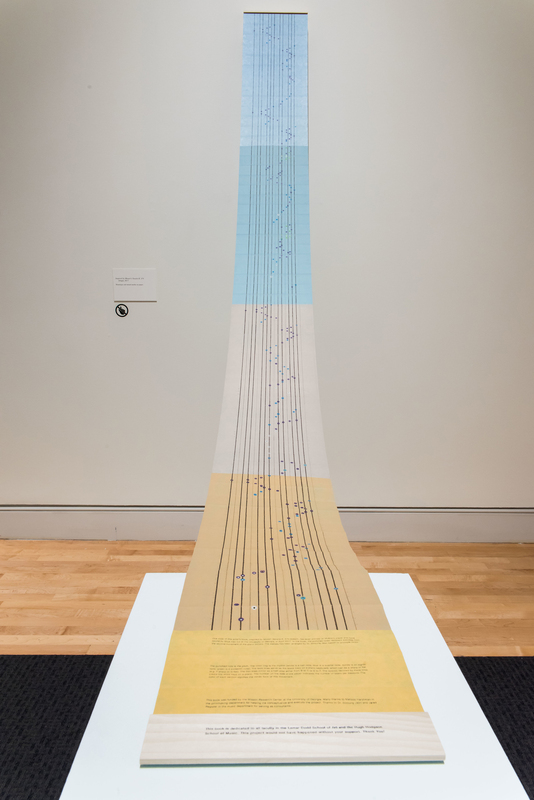 Shuk Han’s current project adapts key signatures from music theory as a structure to govern and create a collection of books and paintings. She is making 15 artist books based on JS Bach’s Two Part Invention and 15 paintings based on walking experiences. Titled Contrapuntal Inventions with Ephemeral Moments, this ongoing project will span a few years and various locations. Mirroring Bach’s method of composing cantatas inspired by his walks around a small town, Leipzig, Germany, Shuk Han will create paintings and books exploring Bach’s inventions. She will complete two books by adapting Bach inventions, and two paintings related to her walking experiences around Thimbleberry and Little Darby Nature Trails. During her residency, Shuk Han will offer a 3-hour workshop for the metalpoint, a drawing instrument used since medieval times, which draws with brass, copper, gold, and silver. Each metal has its own reaction to oxidation; the length of time and the degree to which oxidation occurs depends on local conditions. For the workshop she will share her research from the British Museum and Royal Drawing School in London, and demonstrate how to prepare the drawing surfaces on paper or on wood panels and how to draw with silver and copper.